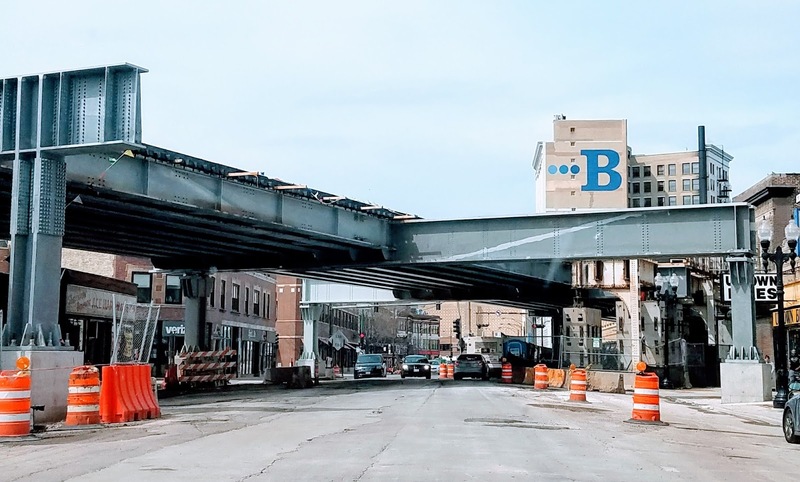 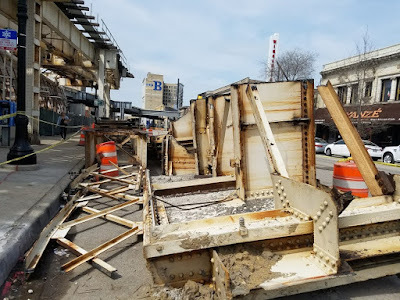 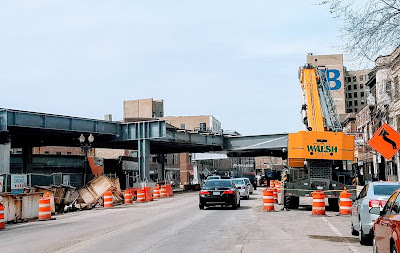 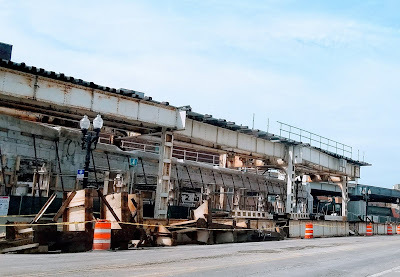 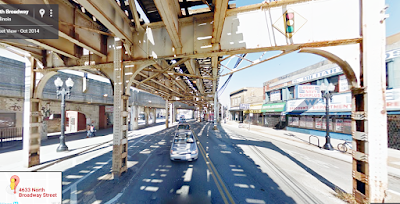 After more than 110 years of service, the steel support columns that were interspersed among the traffic lanes on the 4600 block of Broadway are gone. 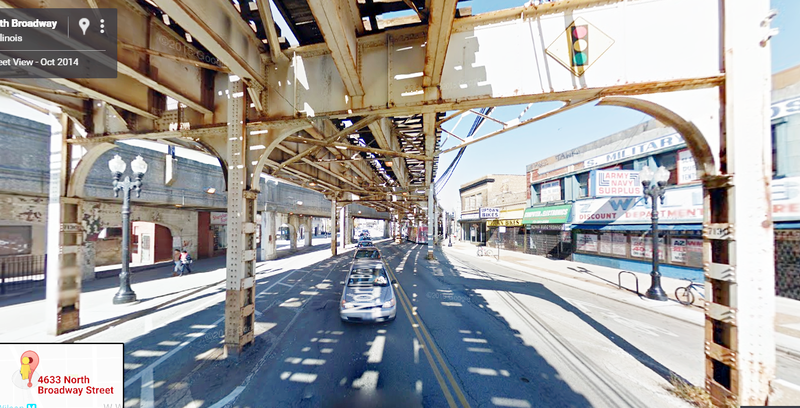 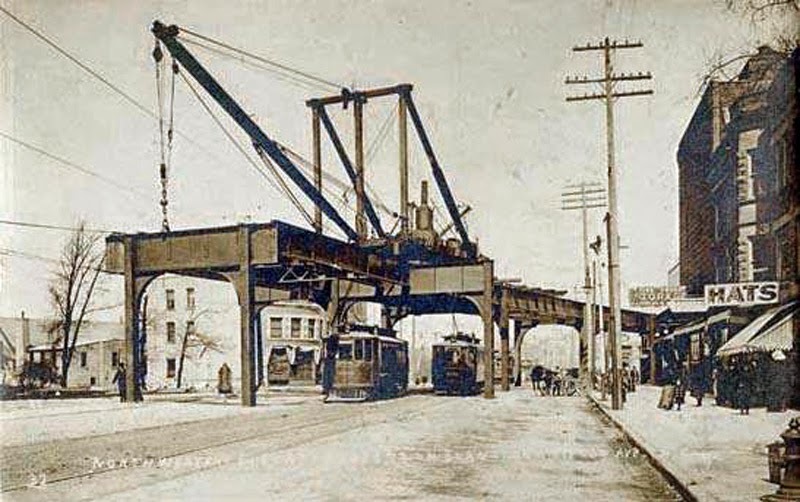 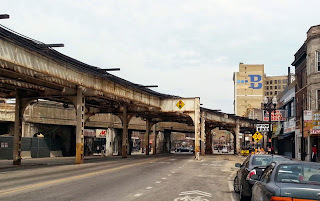 They were built in 1907-1908 when the L was extended from Wilson, which had previously been the northernmost terminal. 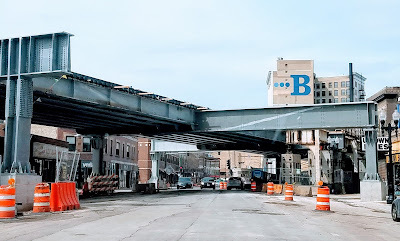 The new track configuration will of course require some support pillars, but they will be fewer and less intrusive, particularly for vehicular traffic. Remember how much fun it was to drive through them?